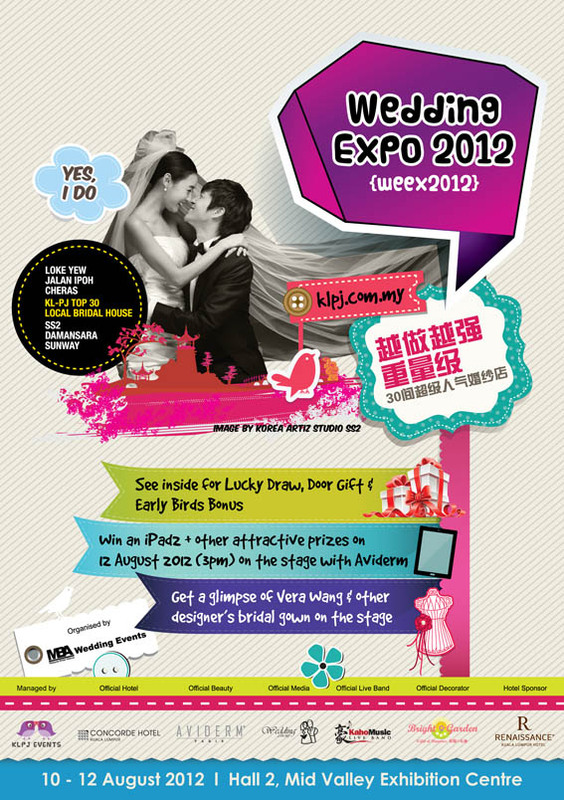 Wedding Expo 2012 (WEEX2012) will be held from 10-12 August 2012 (Fri-Sun) at Hall 2, Mid Valley Exhibition Centre. Featuring KL-PJ Top 30 Local Bridal Houses from SS2, Sunway, Damansara, Puchong, Sri Hartamas, Loke Yew, Jalan Ipoh & Cheras. Also incorporating Wedding Venue, Banquet & Restaurants Show – More than 40 hotels & restaurants to choose from for your dream wedding dinner, within your budget or luxurious 5-star setting banquet! See below for the full-list of updated exhibitors. Visit www.klpj.com.my to see full profile.